Welcome to our stop on the And the Trees Crept In tour for Dawn Kurtagich . This tour is hosted by Rockstar Book Tour. We are big fans of The Dead House, but why do you like writing creepy, spooky and psychologically sinister YA fiction? Thank you! That’s wonderful to hear. There are limitless, unfathomable answers to why I love writing YA horror, but I’ve realized that there really are three main reasons, and only one of them pertains to YA in particular. I love scaring people, and I love reading scary books (i.e I enjoy being scared too). I think it’s just one of those fundamental things that humans crave, like excitement, love, release in sadness, etc. So I do it because I love it (I suppose I’m a bit of a masochist and a sadist!). Horror allows us to explore the lesser-understood areas of life. The little spaces between logic and reality, where there are no answers is where horror exists, and we explore that because we’re curious by nature. If you tell someone not to peek inside a secret room . . . most of us will! And YA in particular? Because I love a good bildungsroman story; I exist in that area and horror is the perfect place to test limits while someone is developing. It’s a way to stretch characters to their limits and see who they are on the other side. Young people are intriguing because they can withstand so much, yet they take horrors on board with such innocence. How is And The Trees Crept In different from your other stories? How does this novel stand out from others? The Dead House was a found-footage thriller horror, very contemporary with a lot of “jump cuts” for lack of a better literary word. And The Trees Crept In is a gothic novel, still within the horror genre, but perhaps a little more poetic, a little more affecting, and more atmospheric. It’s the book you read in bed at night, rather than the book you read on the way to school/work in the morning. Without giving too much away can you describe your favorite scene in the book? My Google searches are pretty interesting, and with most other YA authors, I think I’m definitely on some kind of “list”. A dream of mine is to travel to some very remote islands for research—perhaps next year! This year, I am lucky enough to have access to the mountainous area where my third novel is set! Can you tell us about your challenges you faced writing this novel? The biggest challenge came from learning to write when people were expecting the book. Writing with the world looking, as it were. It was something to get used to, and now I very much enjoy it. A second difficulty was the emotional side of the book—there are some terribly sad moments, and I needed to live through them. Everything. ;) Or nothing…. Hm. Can you name some of your favorite horror movies as well as novels? 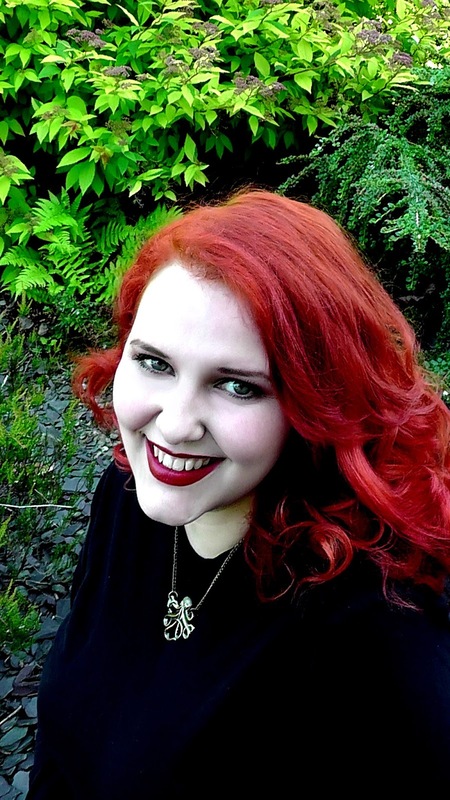 Dawn Kurtagich is a writer of creepy, spooky and psychologically sinister YA fiction, where girls may descend into madness, boys may see monsters in men, and grown-ups may have something to hide. Her debut YA novel, The Dead House, is forthcoming from Hachette in 2015. 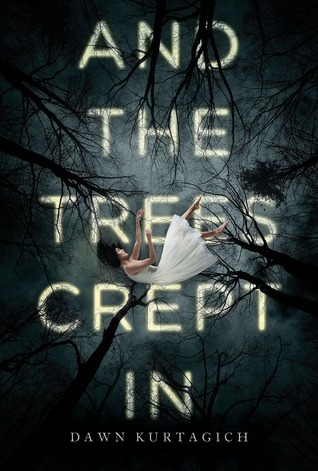 3 winners will receive a finished copy of AND THE TREES CREPT IN, US Only. Sounds like a great read. I love YA, and I don't find much in the horror/scary sub-genre. Thanks for the chance!